Nantucket, affectionately known as the Grey Lady, is a small island thirty miles out to sea off the coast of Cape Cod in Massachusetts. A magnet for under-the-radar celebs, flip-flop billionaires and a plethora of New England socialites as well as home to an eclectic mix of creative locals, Nantucket is a faraway land that literally means “a place of peace.” (Which is exactly what you’ll find here ten months out of the year; July and August are packed right up to the gills.) Despite seasonal crowds, it’s rare that world-class dining, boating, shopping, accommodations and beaches come with such a small-town feel. 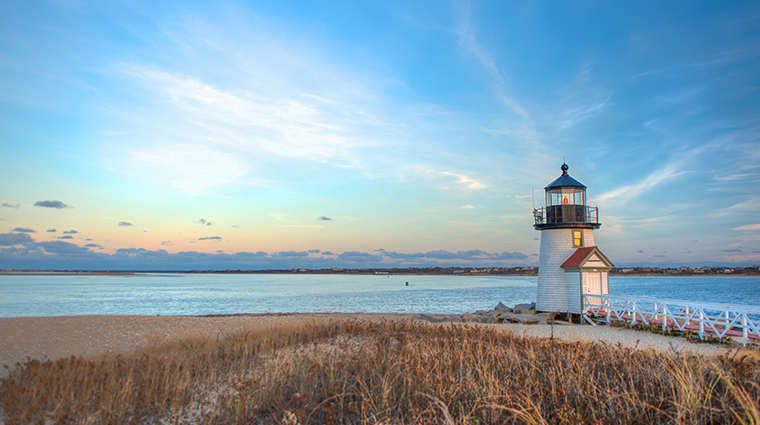 Whether you arrive for a romantic weekend for two or a month-long family vacation, you will find that the only bad part about Nantucket is leaving it.